In the lead-up to the UN General Assembly meetings, the Trump administration is taking the UN to task in both word and deed. In June, U.S. Ambassador to the UN Nikki Haley rebuked the UN Special Rapporteur on Extreme Poverty for including the U.S. in a report about poverty in developed countries. Then, only days after the head of the UN Human Rights Council (HRC) criticized the Trump administration’s child separation policy at the U.S.–Mexico border, the U.S. announced its withdrawal from that body. The big picture: It's not clear how much further the Trump administration will take America's withdrawal from the international community. The U.S. helped launch the UN in 1945, but its role — and perhaps even its membership — in the organization has now been thrown into question. UN Relief and Works Agency for Palestine Refugees in the Near East (UNRWA): The UNRWA supports Palestinian refugees across the Middle East. The U.S. was its largest donor in 2017, at $350 million, but cut all funding last month. U.S. Arab allies' and even Israel’s security establishment are fearful of a collapse of this humanitarian agency, an outcome that would foment increased extremism among Palestinians. Human Rights Council (HRC): The U.S. has had battles with the HRC since its creation, criticizing its priorities but always recognizing the importance of participating in its decisions. As of June, however, the U.S. has fully quit, and will have no influence over the agenda. International Criminal Court (ICC): While not a U.N. agency, the ICC is a multilateral favorite. 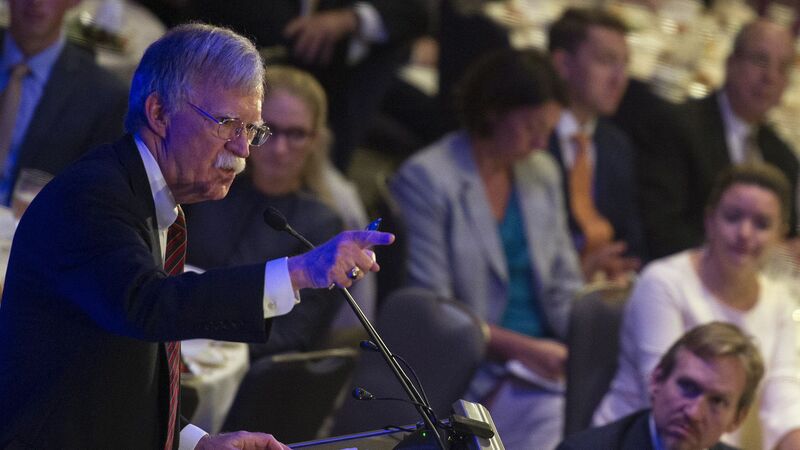 Yet National Security Advisor John Bolton recently described it as “already dead to us.” The ICC has opened investigations into war criminals like Joseph Kony and Sudan’s Omar al-Bashir. They’ll be resting easier now. What to watch: In his UNGA speech, Trump might use the language of Bolton, who famously said that "the (UN) Secretariat building in New York has 38 stories; if you lost 10 stories today, it wouldn't make a bit of difference." If he does, America’s future role at the UN will be anyone’s guess.